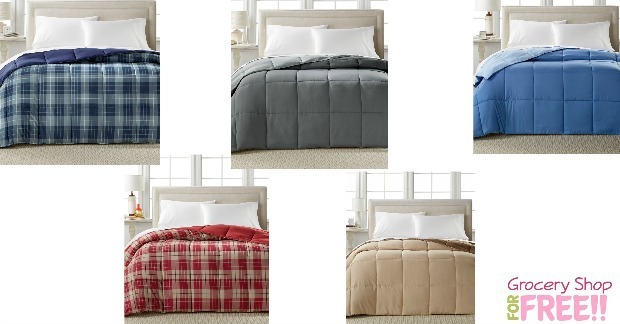 Home Design Down Hypoallergenic Comforters Just $19.99! Normally $130! You are here: Home / Great Deals / Christmas Deals / Home Design Down Hypoallergenic Comforters Just $19.99! Normally $130! Right now at Macy’s you can get these Home Design Down Hypoallergenic Comforters for just $19.99! You can also choose to pickup in store for FREE shipping or get FREE shipping on orders over $49! This is a great deal in several colors and styles and sizes all the way up to King! This comforter from Home Design is the ultimate addition to your bedding collection. The versatile style makes it great as a lightweight filler for duvets or as a stand alone comforter.